When Grady Thomas, Ph.D. started this practice in 1985, I doubt that he envisioned the rapid changes and advances that have come about. Test methods have changed, every newborn baby is now being screened for hearing loss before leaving the hospital, and hearing aids have advanced dramatically. 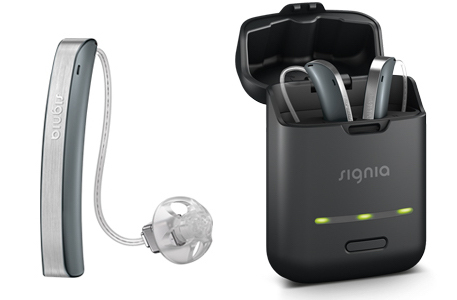 There are also many assistive devices that can integrate seamlessly with your hearing aids, such as Bluetooth technology and hearing loops. Since I took over the practice in the year 2000, I have had the pleasure of updating all of our equipment and adding many new services to accommodate the growing need and improved technology for better hearing. One thing hasn't changed -- my commitment to you! I strive to ensure that you receive honest and compassionate service that reaches far beyond our hectic, computer-infested world. I understand the importance of good communication in everyone's life. I believe that strong ethics, adherence to Best Practices protocols, intellect and kindness are the keys to being a great audiologist. I am here to listen, to educate, and to help you hear better.